This is what happens when you don’t blog very often. You have LOADS to share… Like everyone else, I have a busy life at this time of year, and the blog gets forgotten. So – brace yourself for a photo heavy post. Thanks to those who makes it through all of it!! 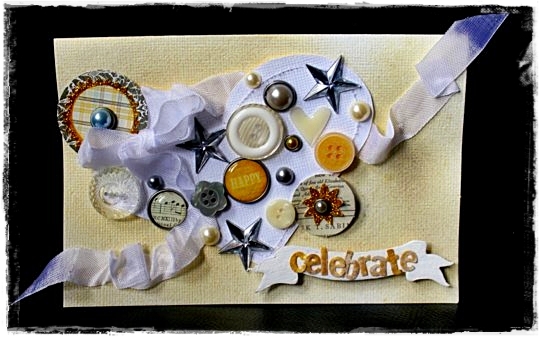 First – a very cool idea that I snatched from Debbie’s blog – a wreath for Tova’s teacher. She put the crayons on, I made the flowers with fabric – DONE! We’re very happy with the result! 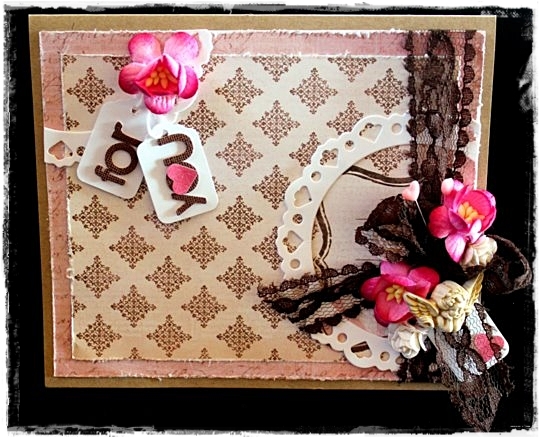 My LO for the latest Challenge Me Happy prompt – a coulour challenge! I used the Echo Park “Times & Seasons” line for this. 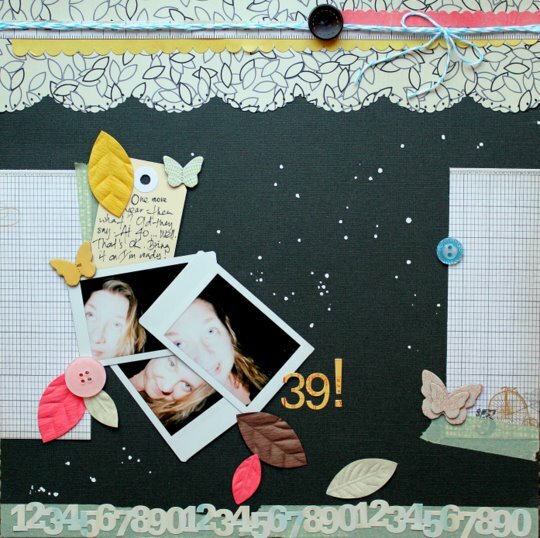 And while we’re on the FAMILY subject – my last LO for Scottie Crafts, using Simple Stories. It’s actually my last LO ever for them. My term is up… Thank you to Adrienne and team for this past year, you are all such amazing people! Use 5 of something on your card. I have used 5 brads, 5 buttons & 5 pearls. I am also participating in an advent calendar blog hop with The Nook. You can win something EVERY DAY by hopping over to the different blogs. Come back to ME on the 16th for my turn!! Thanks for stopping by, and THANKS for staying with me all the way to the bottom of this post! I hope you are having a GREAT December so far. Have you finished your Christmas shopping yet??? 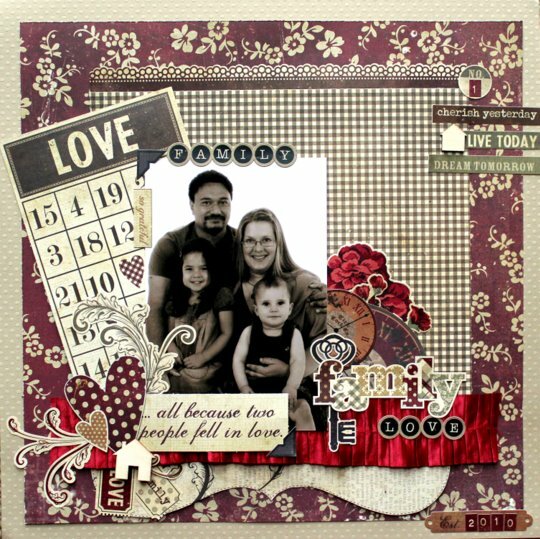 This entry was posted on December 5, 2011 at 9:01 pm	and is filed under Challenge Me Happy, Scottie Crafts. You can follow any responses to this entry through the RSS 2.0 feed. You can leave a response, or trackback from your own site. Ohhhee love the lo’s and as allways you have done an awesome job!!! The wreath is something else what a cool idea and Tova has placed them just perfectly, clever wee chickie!! 1 more present and i am done!!! 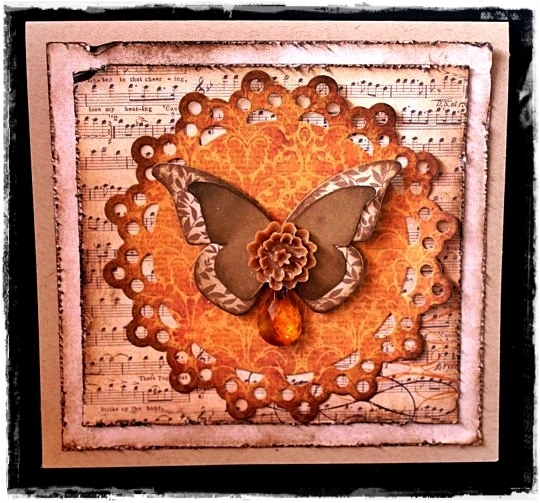 rest done…cards sent….i am on fire!!! as for you lovely lady!!!! these pages are stunning!!! as is that wreath!!!!!!!!!!!!! love it!!! So many awesome layouts, girlie!! 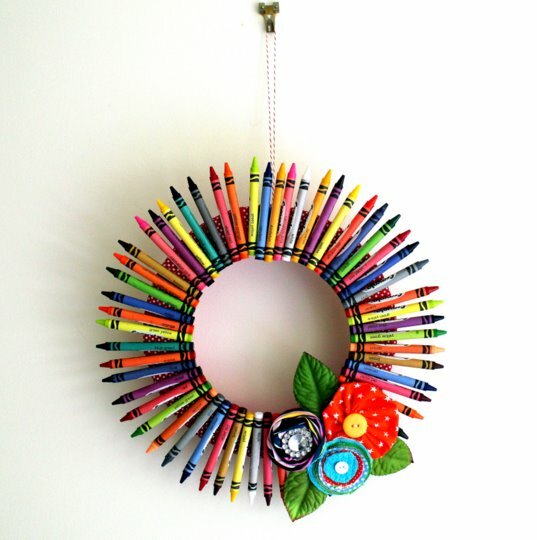 I love the crayon wreath idea. How do you stick the crayons on?? Still not entirely sure what I’m going to make for the boys’ teachers. I have a few ideas, but haven’t decided for sure. Love the layouts and the cards are fantastic!! You have been one busy girlie! ooh-la-la – very ‘noice’ creations – all of them …fabbo idea with the wreath like that … and you had a little helper. Awesome, awesome Wreath Annelie love it! Hannah you stick them on with a hot glue gun. Such beautiful cars, Annelie! It has been a pleasure to be in the Card Sharks contest with you. Your cards are very inspiring. 🙂 I love all of your other projects as well-you are so creative! Happy Holidays!